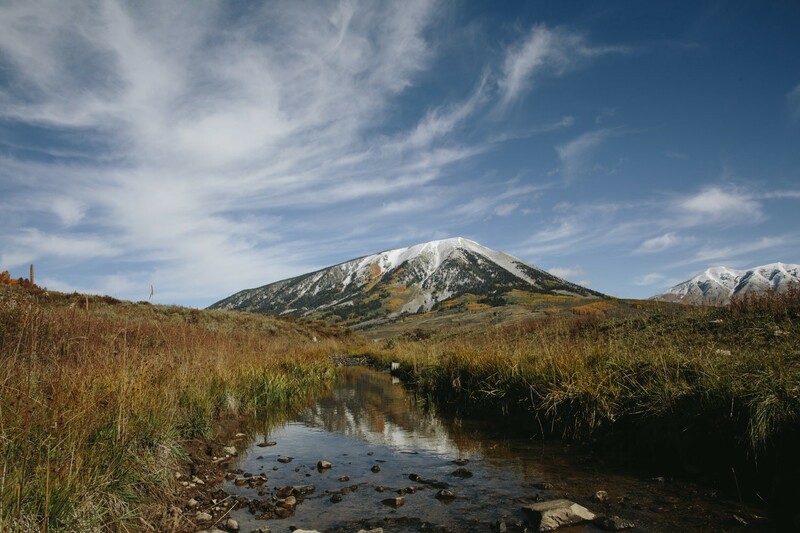 Water Talk is a series of conversations accompanying Killing the Colorado, a multi-part investigation from ProPublica and Matter that tells the truth behind the water crisis in the West. Our #WaterTalk serious examined various problems and potential solutions: Farmers say they need water to keep meeting the food demands of the booming global population. But experts have said crops grown in the arid West drink up too much water. Would limits on urban development fix the problem? Las Vegas’s former water manager said cities aren’t the biggest strain on the water supply. And how does conservation fit in? Some environmentalists say that laws and policies aren’t doing enough to slow water use. Others say lack of data compounds the problem, and technology could help. There is no shortage of solutions batted around. So why can’t we agree? For our next #WaterTalk, let’s see if we can find consensus on why we can’t find a consensus. Doug and George: What’s our problem? Why can’t we agree on solutions? I think it’s useful to view this question through the lens of history. In the past, deals got made in the western water sector by expanding the pie. … It’s part of western culture, like cowboys and boomtowns. But once all the rivers were dammed and the waters fully allocated, the dynamic changed. In a lot of cases today, water politics is viewed as a zero-sum game: any gain for one party is a loss for another. Whenever that is the perception, it’s really difficult to encourage cooperation. It’s certainly not an environment for building political careers. Compounding this issue is the existing legal allocation of water, which has already created a well-defined cast of winners and losers. Those idealists proclaiming “we are all in this together” have no idea how western water law and policy actually works in practice. If you have a large, senior water right, you probably have no interest in any management reforms, even if some other users are struggling to find water. Shortages, after all, are not shared proportionally in a prior appropriation setting, or even in many interstate compacts. Rather, those at the top of the water priority food chain may get 100 percent of their accustomed amount while others get nothing. But no need to share or compromise — these are water rights we are talking about; you don’t expect people to compromise on their rights, do you? Have something to say to Doug or George? Leave a response at the bottom of this post. There has been — and remains — the hope that technology (improved irrigation efficiency or desalination) will ease supply constraints. Improving efficiency by itself, though, does not necessarily conserve water. In many cases, it can just reduce return flows or aquifer recharge. While improved technologies are no doubt part of an overall solution, technological fixes have yet to change fundamental supply and demand tensions. Another problem is a lack of data and information. There is also little understanding of the data that does exist. We do not have good estimates of consumptive use of water and people are too casual switching back and forth between withdrawals or diversion, applications, and consumptive use. Lack of consensus about basic relationships hampers negotiations. To date, emphasis has been on producing a “headline” number to argue that some other group should give up water. Water is a valuable asset. People have made many financial and economic decisions based on assumptions about current water rights. Shortage sharing is difficult because people believe that any change will be permanent. People are averse to making irreversible changes. The value of holding onto water for future real estate development is always an implicit consideration. In theory, there might be allocations of water that provide enough benefits for the winners to compensate the losers, so all are better off. Yet, institutional mechanisms are not in place to provide for such compensation of losers. I think you and I are approaching a similar conclusion, albeit from slightly different angles of approach. Namely, a key path forward entails institutional reforms that provide opportunities and incentives — financial incentives — for water users to find solutions themselves. I don’t think we need or should hope for some coalition of political leaders, or a court, to step forward to tell a farmer what crops to grow and what technologies to use, or to tell a city how much turf grass they can install and how many building permits they can issue. Don’t get me wrong: there’s certainly an important role for political leadership, collective decision-making, and some new regulation. But ultimately, I think a better place to focus is on reforming the system to incentivize individuals to innovate and to pursue actions that are socially beneficial. For example, allow a farmer that switches from a high water-using crop to a low water-using crop to market — sell or lease — the saved water, and watch what happens. As you note, improved “efficiency” does not always translate to real water savings; each situation is a little different. But in those situations where there is an opportunity to save real water either from crop-switching, use of different irrigation technologies, or other changes in how and where water is applied, the farmer is often not allowed by law to retain ownership of the saved water. So why innovate? Instill greater financial incentives into how water is allocated and used, and then we can see what are the real limits of the technological solutions, we can motivate the measurement and collection of good data, we can inspire individuals to “take a chance” on trying something different, and we can give people a reason to collaborate. Right? I think creating incentives bottom up is better than creating directives top down. There are two deeper questions that apply to water. First: What is the role of markets? Second: What is the role of government? Let me tackle markets first. When markets are allowed to function, prices can be an excellent signal of resource scarcity. It lets people know how much of society’s other resources you have to give up to get more of something. If people (e.g. farmers) could maintain rights over conserved water, they could apply that saved for their own productive purposes. Or, they could sell or lease water to other farmers or others demanding water. This would provide an economic incentive to conserve water and in principle, encourage voluntary transfers of water (instead of imposed cutbacks). This has win-win possibilities. This gets me to the second question — the role of government in water resource allocation. Government can encourage water conservation and reallocation to be efficient and to avoid unanticipated negative consequences by improving information about water. Our understanding of where water comes from, where it goes, who uses, for what, and the economic costs and benefits of different uses could be much better. So, government has a role in improving monitoring and data collection. Next, with water transfers, especially large ones, there could be significant environmental impacts and negative economic impacts on water exporting communities. Again, there is a role for government in collecting and communicating information about the size and nature of these impacts. A role for public policy is to design institutional mechanisms to mitigate negative social and environmental impacts of transfers. Well-functioning markets can encourage conservation and win-win voluntary re-allocations of water. There are, however, many market failures that keep markets from being “well-functioning.” The problems that arise are not trivial, but a role for public policy is to provide information and design institutions that correct these market failures. It’s great to hear an economist talk about the limits of markets and not merely the theoretical benefits. Water markets … raise all sorts of challenges. But most of the challenges, such as the lack of good information, are things that government can and should address. The one that is most difficult, I think, is the notion of third party impacts. For example, if a farmer sells his water right and quits farming, and the family that runs the tractor store then goes broke, that is a very difficult problem to deal with. Is that a reason to prohibit (or actively discourage) such transactions, or is it just an unfortunate (but unavoidable) consequence of normal capitalism? It’s a tough question compounded by the fact that farmers want to retain the right to sell if they choose, even though they don’t want to harm the agricultural sector, and furthermore, that most rural areas are not well equipped to transition to other economies if agriculture is lost. The best compromise, as you note, is markets that are carefully designed and regulated by government. So that’s where I want my elected officials to focus. Cultivating a cooperative — rather than an adversarial — relationship among cities and farms is the central challenge of western water policy in the 21st century. Water scarcity gets the headlines, and for good reasons, but scarcity is the symptom not the problem. The problem is an amalgam of distorted incentives, flawed price signals, misguided subsidies, antiquated laws, and poorly functioning markets that encourage consumption, discourage conservation, and limit opportunities for transfers that can potentially benefit both urban and rural areas. I’m not saying that fixing all of this is easy, but working to get the incentives “right” is something we should be able to agree upon. One issue we haven’t touched on, though I think is crucial, is real estate markets and growth planning. Here is another area where there have been problems in getting the incentives “right.” Specifically, urban growth often requires seeking out new, more expensive water supplies to meet the new demands. Yet, the costs of that expansion are often spread across current and new water users, masking the true cost of growth. A perennial problem is that the people have not settled where the water is, or growth has followed a “Field of Dreams” approach — put the people here and the water will come. There is an opportunity now, before real estate markets pick up again, to have the costs of acquiring new water supplies (including the environmental costs) accounted for in urban and regional growth planning. There is a lot that can be learned from experience — such as institutional innovations that arose in response to the Millennium Drought in Australia. The rest of the Colorado Basin will also benefit from lessons learned from how California deals with their current drought issues. Sub-regions of the basin are unique, but it seems that developed countries do learn to deal with water scarcity. This would probably make for a better conversation if we didn’t agree so much, but the reality is that many of the problems and the solutions are pretty obvious to any objective researcher. You’ve touched on another one: urban growth should pay its own way, and ensuring that tap fees reflect the true cost of acquiring new water is an excellent starting point. But good ideas don’t always fare well in the political process. For many elected officials, especially at the city and county level, promoting urban growth is why they sought office in the first place. So while it’s pretty easy for you and I to question the logic of the pro-growth philosophy in water-scarce regions — especially given our hippie roots in Berkeley and Boulder, respectively — that’s not a sentiment that resonates with many city councils and planning commissions. 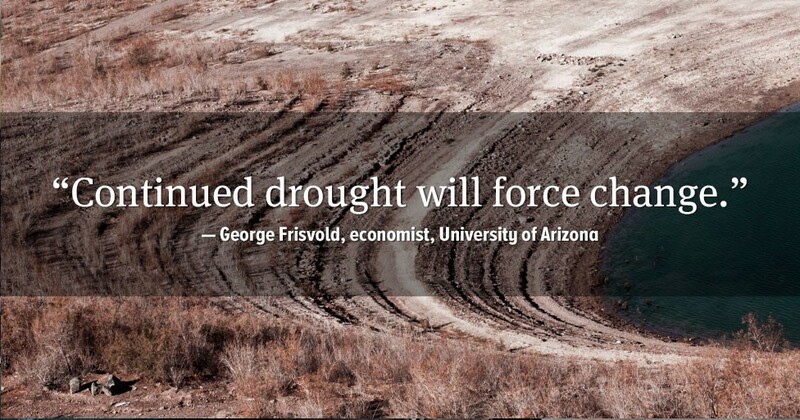 And few water managers want to get pulled into any debate about growth. I’ve really enjoyed the wide-ranging nature of this discussion, but let’s refocus on the questions that prompted this conversation: “Why can’t we find — and agree — on solutions politically? Why is it so difficult to find consensus? Will we ever? What needs to happen?” We only scratched the surface on each of those questions, but if challenged to tie a bow on our conversation, I’d say we’ve observed that while many of us are very interested in promoting reforms in management and behavior to adapt to an increasingly water-scarce future, we are often outnumbered in the political arena by those seeking to perpetuate the status quo for as long as possible. So it’s no surprise that progress is slow, even though there’s a host of proven solutions available. You are right: regions do learn to deal with water scarcity — but often not until they have no other choice. A pleasure likewise. As you pointed out from the start, there are winners and losers in reallocating water across uses and regions. It’s hard to get someone to be part of any “consensus” where they lose out, with no compensation. This could be livelihoods, lifestyles, and environmental values that people fear they will lose. While it is relatively easy to come up with “technocratic solutions” that would make the pie of benefits from water (if not actual supplies) larger, everyone cares about the size of their individual slice of that pie. We need better information about how water is being used and where it is going. There are a lot of data gaps. We need to actually look at the data and information that is there. Academics could do a better job at outreach instead of talking (and agreeing) among ourselves. We’re not the ones that need convincing. But I think our job as academics is to do a better job communicating key issues succinctly. Few journalists are going to take the time to read these types of studies and figure them out. It is easier to do the boilerplate piece. Another thing that needs to happen is to design institutional mechanisms that mitigate the losses (economic, social, and environmental) from water reallocations. Water reallocation is going to happen. It has been happening. It has happened elsewhere in times of sustained shortages. And, it is going to happen here. Virtually every major hydro-economic study of western adaptation to climate change finds large adjustments being asked of agriculture and the environment so that urban water use does not have to change much. We are missing information and institutions that would allow this to happen in a truly “win-win” way. Continued drought will force change.